It’s no secret that Arianna loves watching Sofia the First. What’s not to love? A little girl who is a commoner, gets whisked away and becomes a princess overnight when her mom marries the king, then meets new friends and goes on adventures? I think that’s every little girl’s fantasy! On August 5th, a new Sofia the First DVD hits the stores. The Enchanted Feast tells the story of a fabulous feast where all the monarchs from Enchancia's neighboring kingdoms have come to watch a dazzling display of magic. The royal banquet room turns into a hall of amazing ''morpho-mirrors.'' But before the fun begins, wicked Miss Nettle (disguised as ''Sascha the Sorceress'') crashes the party with a scheme to steal Sofia's magical amulet. Can Sofia foil the bad fairy's plan before it's too late? Perhaps . . . with help from Snow White, who reminds her it's important to trust your instincts. My daughter loved this episode. In true Sofia the First form the show highlights character qualities such as kindness, courage, generosity, loyalty, honesty and grace. If you have a Sofia the First fan at home, they will definitely love this collection of stories. 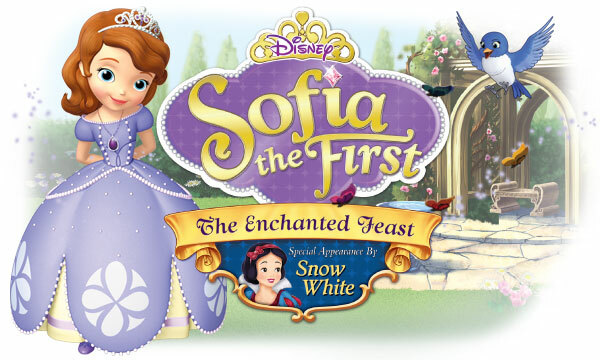 Sofia the First: The Enchanted Feast DVD is available for Pre-order and comes with 4 additional episodes, but I have a copy to giveaway to one lucky reader now! To enter to win just follow the instructions on the rafflecopter widget below. Good luck! I would give this to my niece for her birthday. She loves Sophia! thanks so much for the awesome giveaway. I would give it to my niece who loves Sofia! I would give this to my daughter! She loves Sofia! I Would Gift This To My Niece, She Loves Sofia The First! My daughters who love Sofia!! I would gift it to my children. My 4 year old son loves this show. My almost 4 year would love this. this would be for my daughter mila ! :) thanks so much! I would give it to my 2 daughters! I'd give it to my son. He loves Sofia! To my daughter who loves Sofia! For my 4 year old daughter. She loves Sophia!! I would give this to my daughter! She loves Princess Sofia. 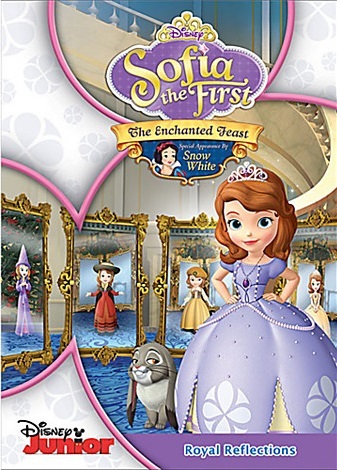 I'd give this DVD to my daughter for Christmas, she loves everything Sofia the First.